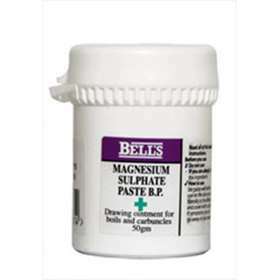 Magnesium Sulphate Paste is used as an ointment for drawing out boils. For use on the the skin only. pply liberally to the affected part. Not for use on infants. Magnesium sulphate 46% w/w, phenol BP 0.5% w/w, glycerol (E422).